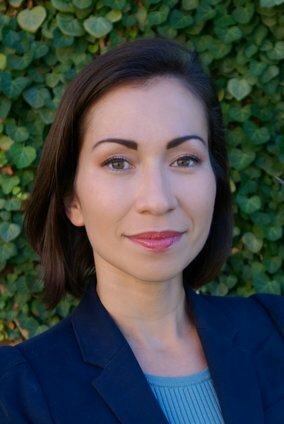 This description of Laura Emiko Soltis's work was prepared when Laura Emiko Soltis was elected to the Ashoka Fellowship in 2017. Dr. Laura Emiko Soltis leads a modern-day freedom school for undocumented youth where students receive free college-level classes, college application assistance, and the social movement leadership training they need to determine the course of their own freedom struggle. Against a backdrop of Southern states that deny undocumented students equal access to public higher education, Freedom U is creating liberatory spaces for learning and advancing undocumented students’ human right to education. In the United States, 11.2 undocumented immigrants pay taxes and work in low-wage industries, but are barred from the right to vote and equal access to higher education. Undocumented immigrants face increased discrimination and exclusion in the South, and the state of Georgia is widely regarded as the most hostile state for undocumented immigrants. Based in Atlanta, Laura Emiko Soltis is shedding light on modern educational segregation, building interracial and intergenerational relationships between veterans of the Black Freedom Movement and undocumented youth, and implementing new models of liberatory education and grassroots organizing that are empowering the next generation of undocumented youth leaders. Emiko runs Freedom University, a modern-day freedom school where undocumented youth receive both free college-level classes and the tools they need to lead a movement. Emiko joined Freedom University as a volunteer faculty member and in 2014, became Freedom University’s first executive director. Emiko introduced a human rights framework, a horizontal leadership structure, a social movement leadership training program, and expanded the curriculum to include diverse academic disciplines chosen by students, including classes such as human rights, biology, algebra, creative writing, music, yoga, and even a Freedom University debate team. Over the past four years, Emiko has transformed Freedom University from an organization that helped individual students get into college, into a vibrant movement organization that empowers undocumented students with the knowledge and skills they need to dismantle the structural barriers that limit undocumented student access to higher education. With the support of allied social justice networks that Freedom U students mobilize, these students are shifting the cultural narrative of what it means to be undocumented. Freedom University students are generally ages 17-25, and arrived in the United States as children from countries such as Mexico, El Salvador, Venezuela, Bolivia, Ecuador, Chile, Haiti, Jamaica, Ghana, and South Korea. Most students have attended Georgia public schools from kindergarten through 12th grade, and currently lack a pathway to citizenship. Many students join Freedom University after high school to receive assistance in the college application process, but often find something much more: the only true sanctuary campus in the world, where every student is undocumented and where every student is supported by a community of teachers, peers, and volunteers who believe in their human right to education. As a longtime educator, Emiko continues to serve as the Professor of Human Rights at Freedom University, teaching classes in international human rights, social movement theory, and immigration history, which cultivate a sense of political efficacy - helping students see how situations of injustice can change through collective action. As an experienced social movement strategist, Emiko has worked to advance the undocumented student movement by building bridges between undocumented and documented student groups, advocating for fair admissions policies in higher education, and connecting undocumented youth with veteran Civil Rights Movement organizers and diverse social justice leaders to cultivate an interracial, intergenerational, and intersectional strategy center to end modern-day educational segregation. Against a backdrop of Southern states that deny undocumented students access to public higher education, Freedom U is creating a model for what an accessible, liberatory education looks like - replacing passive pedagogy with opportunities to shape history and transform the world. The lives of undocumented immigrants are often understood through a lens of criminality or “illegality” in the United States, influencing how society understands their rights to education, livelihood, voting and more. This understanding of undocumented immigrants, particularly from formerly colonized countries, as “illegal” feeds this discrimination and normalizes the phenomenon of the incarceration, disenfranchisement, and educational segregation of millions of people of color born outside the country. Given this world system, Soltis draws from the work of Michelle Alexander and Aviva Chomsky, and challenges U.S. citizens to understand undocumented immigration not as an issue of criminality, but as a transformation of racism through which the criminalization of immigrants of color has allowed for the creation and maintenance of a new exploitable labor force in the United States. This has happened simultaneously with the criminalization of Black people more generally following the victories of the Civil Rights Movement era, which together, has benefited the for-profit private prison and immigration detention industry at public expense. Discrimination and exclusion of people of color, in other words, has transformed from overt racism to a language and system of criminality. This system of criminality has successfully normalized public consent to the incarceration, disenfranchisement, and educational segregation of millions of people of color in the United States. The modern day segregation and disenfranchisement of 11.2 million undocumented people in the United States takes on a pernicious character in the Deep South. Only three states in the country have an admissions ban against undocumented students in public higher education: Alabama, South Carolina, and Georgia. In the state of Georgia, undocumented students - even those with DACA (Deferred Action for Childhood Arrivals) - are banned from the top public universities and in-state tuition rates throughout the state. Moreover, in April 2017, Georgia passed the first Anti-Sanctuary Campus bill in the country, creating new barriers for undocumented students to access even private colleges and universities. As a result of restrictive policies in certain states and undocumented students’ exclusion from all forms of federal financial aid across the country, less than 1% of the 2.1 million undocumented college-aged students in the U.S. are enrolled in institutions of higher learning. Given this context, undocumented young people experience intense feelings of isolation and shame, and live with the daily fear of deportation and the separation of their families, often leading to poor mental health with severe depression and anxiety. With undocumented youth unable to pursue higher education, they are systematically pushed to work into low-wage industries. Able to pay taxes and contribute to the social security fund, but unable to vote or participate in institutionalized politics, undocumented immigrants experience taxation without political representation. Pushed out of the educational means for economic advancement and excluded from political power to change their situation, the undocumented population effectively serves as an exploitable, low-wage labor force in the United States. The educational discrimination, the economic exploitation, and the political exclusion of undocumented immigrants is an affront to the principles of equality, justice, and democracy in the United States. The strategy that Emiko is implementing to desegregate higher education in the South is one that has developed out of years of community dialogue and collective struggle. The strategy is multi-pronged, works at local to international levels, engages with a breadth of partners, and transforms undocumented students and allies into changemakers. The goal for this work is not only to change university admissions policies in Georgia so that all academically-qualified undocumented students have equal access to higher education and in-state tuition at public universities, but also to educate and empower the next generation of immigrant rights leaders. Emiko has built a robust alternative to the universities that bar undocumented students from admission. The Freedom U model offers rigorous, college-level academic instruction taught by professors from prestigious universities throughout the region. Freedom U implements a liberatory pedagogy where students are teachers and teachers are also students. Students have a say in the curriculum, and vote on which classes they would like to have every semester. Based on their input, the Freedom U curriculum combines college-level classes with a liberatory education model. Unlike the lessons taught to them in high school, undocumented young people are educated through a critical lens that helps them regain a sense of human dignity and understand their political situation in a historical context. This allows them to understand their status not based on a false notion of criminality, but within a complex social system that recreates populations of people who are politically powerless and economically exploitable. By weaving Black student leaders of the Civil Rights Movement and contemporary social justice organizers into the community of teachers and learners, Freedom U offers lessons in organizing, direct action, and civil disobedience. Through mutual learning with the very people who raised public and legal consciousness of racist policies in the 1960s, students learn “history” not as something to be consumed, but something to be acted upon and changed. Freedom U also educates and trains hundreds of student allies in Universities across Georgia, including Emory University, Georgia Tech, Georgia State University, the University of Georgia, Morehouse College, and Spelman College in civil disobedience, creating cross-status solidarity network between students across the state. Through these tools, Freedom U’s liberation pedagogy transforms young people’s consciousness around their own potential, and the potential of the 11.2 million undocumented people in the United States. Students are also able to earn up to six college credits at Freedom U every year by taking advantage of College Board CLEP exams. Freedom U students are able to save money on college credits while also demonstrating their readiness for college. This proves helpful when Freedom U students apply to private, liberal arts colleges that offer full financial aid. As a result of Freedom University’s college and scholarship application program, at least one out of every five students that enters Freedom University banned from public universities leaves with a full scholarship to a welcoming college. In 2017, 30 percent of Freedom University students won full scholarships to college. While Freedom U students cannot participate in institutionalized avenues in the political process due to the disenfranchisement of undocumented people, civic leadership and action is an integral part of their learning laboratory. As a result of Freedom University’s work building student alliances at public universities in Georgia as well as its brave direct actions at the Board of Regents public hearings, where students, teachers, and community members have routinely been arrested, Freedom University helped remove Augusta University and Georgia State University from the five-college ban in Georgia under Policy 4.1.6. Following hard-fought, disciplined campaigns alongside documented student allies, Freedom University has successfully pressured more than seven universities to change their admissions and financial aid policies to be inclusive of undocumented students. These universities include Emory University, Smith College, Bard College, and Soka University, among others. When private universities in a state adopt these policies, it helps legitimize undocumented student access to higher education and increase pressure to change higher education policies at the state level, which then provide leverage for federal policy changes. In many ways, the model of undocumented students coming out of the shadows to win state policy campaigns reflect the cultural change and waves of regional state policy shifts used by the LGBTQ community to win marriage equality. Freedom U students are also challenging discriminatory laws that bar undocumented students from equal access to public higher education in federal court. In partnership with MALDEF, Freedom University and several of its students are plaintiffs in a federal court case that argues that in-state tuition bans against DACA students violates the equal protection clause under the 14th amendment of the US constitution. Simultaneously, Freedom U is leveraging international human rights mechanisms to pressure the state of Georgia to open its doors to undocumented students, filing formal complaints through the Inter-American Court of Human Rights and the U.N. High Commissioner of Human Rights on the grounds that Georgia is violating undocumented students’ human right to education under Article 26 of the Universal Declaration of Human Rights, among other statues in international human rights law. Upon graduating from Freedom University, many graduates find work in social justice and immigrant rights organizations across the country and continue their development as movement leaders. Freedom U graduates who win full scholarships to colleges across the country have also been at the forefront of the Sanctuary Campus movement, pressuring universities to welcome, protect, and support undocumented students by implementing fair admissions and financial aid policies, policies to protect undocumented student privacy, and ensuring equal access to mental health and legal aid services. Freedom U has been approached by interested teachers and students looking to expand Freedom University in South Carolina and Alabama, which also have regressive policies creating barriers for undocumented students. Emiko is hiring and training undocumented students as staff members so that Freedom University will eventually be led by undocumented graduates of the program and function to renew the Freedom School tradition throughout the South as sites of leadership development and movement strategy for the next generation of freedom fighters. Laura Emiko Soltis grew up in rural Minnesota as the daughter of an immigrant mother and a working-class father. Throughout high school and college, Emiko worked as a cashier, waitress, janitor, and farm worker, and slowly began to develop a critical consciousness of the interplay of race, immigration, and labor in low-wage industries. In 2006, Emiko joined the Student Farmworker Alliance and began to work in solidarity with the Coalition of Immokalee Workers (CIW), which builds power for immigrant farmworkers in Florida. Through the CIW, Emiko was trained in grassroots organizing in immigrant communities and learned from farmworker leaders the principles of liberatory education, building networks of solidarity with diverse allies, and creating effective social movement campaigns. She also learned strategies from movement cultural workers about how to effectively use art and theater for direct actions, how to effectively use social media and how to engage with traditional media to amplify marginalized voices, and how to ensure joy and community building through music and dance. As a musician, painter, and photographer, Emiko also learned how to use her artistic skills to build community in diverse movement spaces and create vibrant movement cultures to transform the public sphere. These experiences deeply shaped her political consciousness and commitment to human rights movements in the South. Emiko pursued a PhD at Emory University, studying social movement theory and international human rights, and wrote a 655-page dissertation on interracial farmworker movement history and the cultural work and human rights strategies of the Coalition of Immokalee Workers. Over the last 12 years, Emiko has gained extensive experience as a human rights educator and social movement strategist in the South through her participation in a number of social justice projects, including immigrant rights and anti-detention work, farmworker justice campaigns, the Troy Davis anti-death penalty campaign, racial justice work against police brutality with ATL is READY, and leading economic justice campaigns for low-wage campus workers. She has been arrested three times in nonviolent direct actions in Atlanta, and continues to train hundreds of aspiring freedom fighters in power analysis, campaign strategy design, and civil disobedience tactics in the South. Emiko joined Freedom University as a volunteer in 2013. At the time, Freedom U was a bold experiment to oppose restrictive policies by offering short courses and college placement assistance for undocumented students. When the founders left the organization to pursue other initiatives in 2014, Emiko moved Freedom University from Athens to Atlanta, and began to radically transform the organization. With her leadership, Freedom U became a social movement strategy center and freedom school with a horizontal leadership structure, a multi-course curriculum, a liberatory education model, a human rights analysis, a solidarity network with diverse social justice movements, and a full schedule of community outreach initiatives, college tours across the country, and daily social movement leadership training. As a result, Freedom University is not only helping students earn full scholarships to college, but also changing the admission policies at private colleges in Georgia and across the country, winning tangible public policy victories, and amplifying the voices of student leaders to shape the national debate on immigration policy. Today, Freedom University continues to train and empower undocumented students to build interracial, intergenerational, and intersectional solidarity to carry out effective campaigns and win structural changes that advance justice for undocumented immigrants.